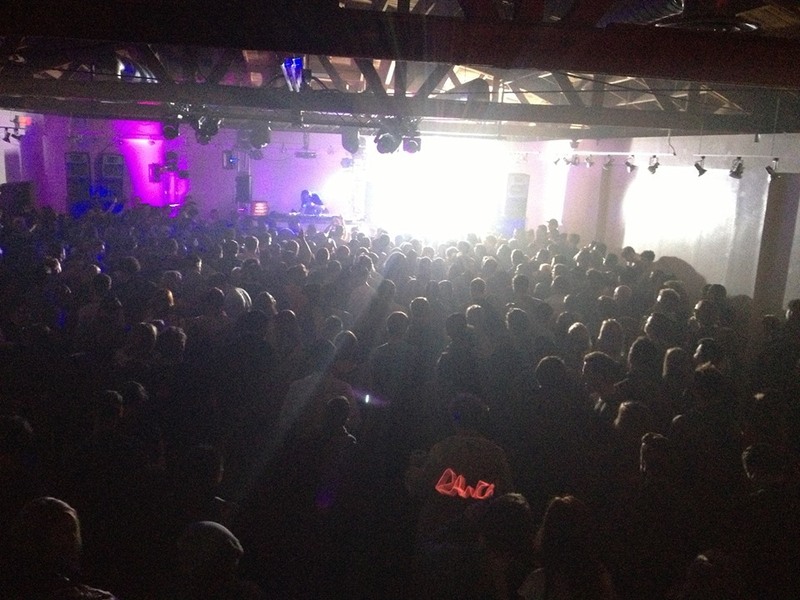 Live music in LA isn't hard to find, but good DJs can be. 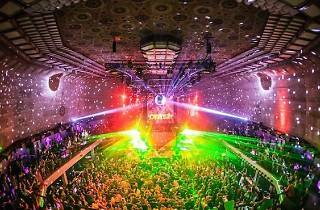 Here are the best clubs booking live DJ music in Los Angeles. In LA, finding the best clubs in Hollywood or a place to dance every night of the week isn't all that tough. But for top-notch live DJ music, you may have to dig a little deeper. 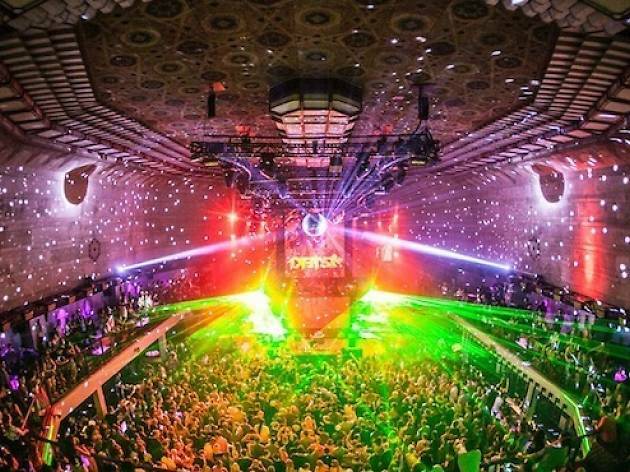 Whether you want to dress up for an evening among swank banquettes and bottle service cocktails or get down in a no-frills warehouse, LA’s nightlife offerings have you covered—and luckily, we've done the research (and, yes, the partying) for you. Here are the best clubs in LA for live DJ music. 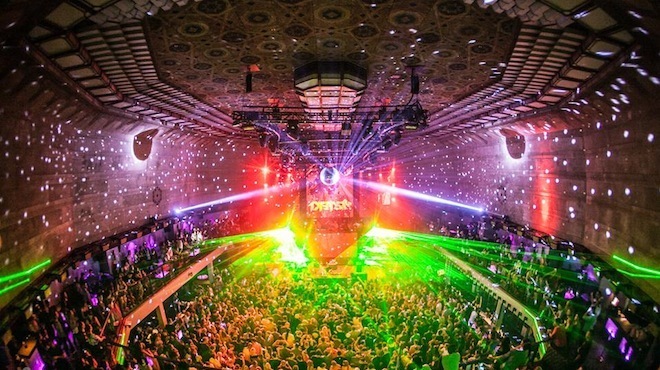 When EDM superpower Insomniac and glossy club creator SBE converge, you get Vegas-style clubbing, right here at home. 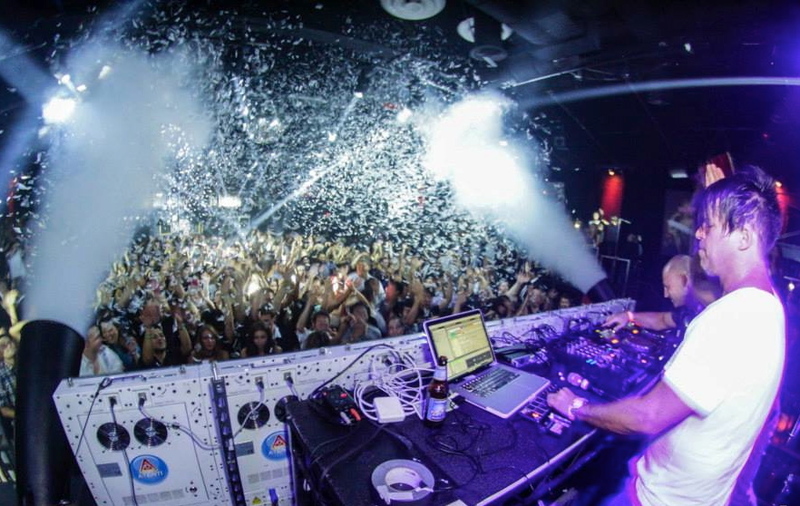 Bottle service, confetti drops and some of the biggest EDM DJs (like MAKJ) make this spot a favorite among both music lovers and those looking for a sleek Hollywood party experience. Take in the next-level Funktion One Sound System, watch pretty young things dance from the long banquettes or retreat to the smoking lounge for your own Hugh Hefner moment. Imagined as a rock 'n' roll impresario’s tasteful man cave, Sayers offers the sort of insider’s music experience that the super-connected (like Hollywood agent Shep Gordon) might have on the regular. Capital Cities and The Black Keys have played surprise sets here, as have actors who make music on the side such as Joseph Gordon-Levitt and Jeremy Piven. But no matter what guest appearances you may see, you can always count on the DJs here, like Anthony Valadez, or whoever else might show up behind the turntables. 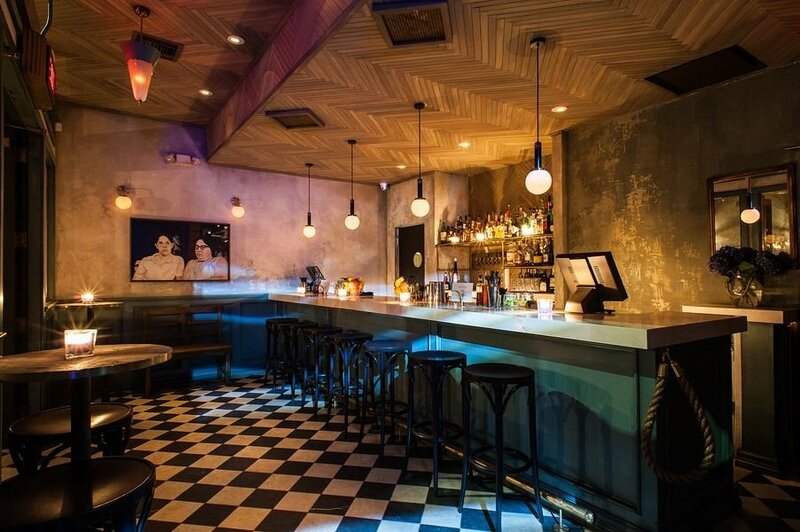 Pop in the front room for a neat drink or bar bite, then graduate to the back to take in the exposed brick bar, cognac leather sofas, Afghan rugs and a stage that descends from the ceiling—you never know who might jump up and plug in. Housed in a 1930s historical building that once was home to the Los Angeles Stock Exchange, this space has operated as a club since 2008. The four-story, 25,000-square-foot space also cameoed as the massive nightlife space in The Social Network. But new lifeblood in the forms of an upgraded sound system and fresh residencies keep the space from going stale—also thanks, in part, to funk house legend Dirtybird, whose parties regularly bring Justin Martin and Claude von Stroke (and the fun-loving crowd who loves them) to DTLA. 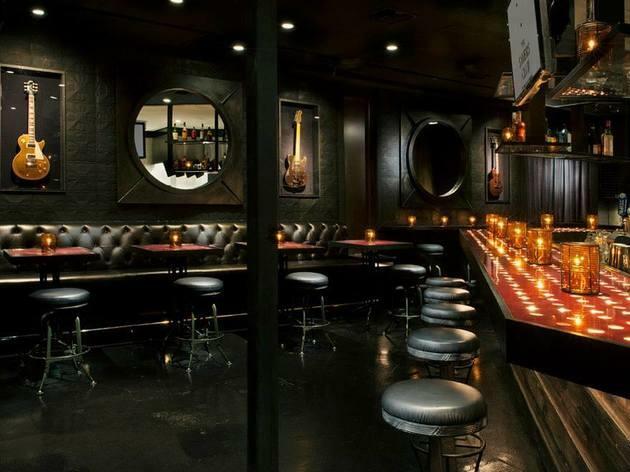 LA’s latest space for leather, lipstick and bears jettisons WeHo for Downtown, just down the block from the Ace Hotel. 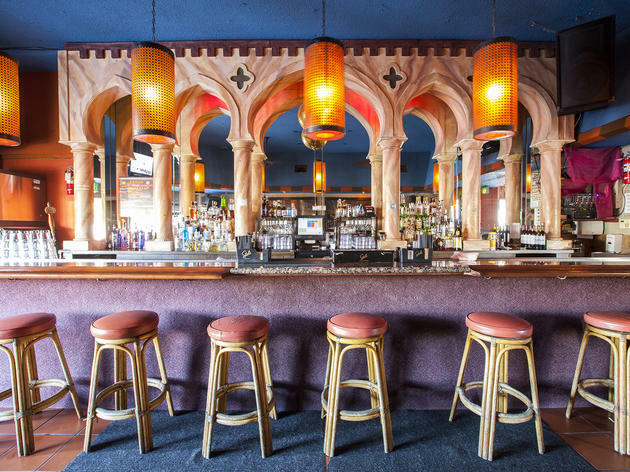 The self-dubbed “rock 'n' roll gay bar” serves as a cool update for a turn-of-the-century building that once housed the Department of Corrections by going classic in decor—exposed brick, lots of black and a red arrow above the door to mark the spot. The expansive 8,500-square-foot second-floor space includes a bar, dance floor, performance space and its best feature—a wrap-around terrace with commanding views that feels more Bourbon Street than DTLA, and serves as the perfect place for a Sunday beer bust. 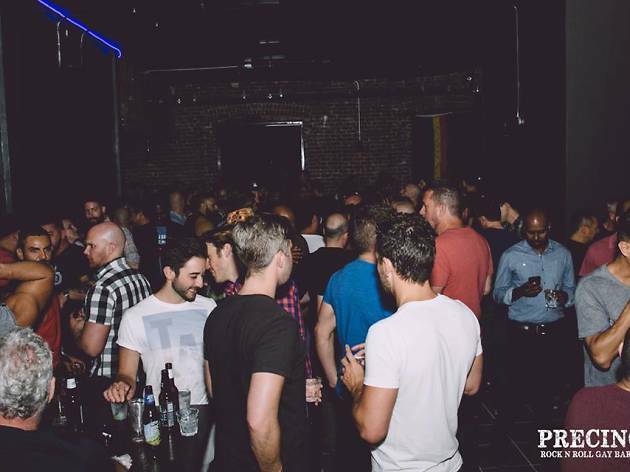 And thanks to different themed nights throughout the week—Disco Wednesdays, Queen Kong on Friday nights—Presinct brings in a variety of DJs for residencies (like DJs Victor Rodriguez and Chris Bowen) and special sets. There are plenty of underground spots in LA, but for those looking for a similar brass-tax vibe—a no-frills party space with an emphasis on the music and after-hours permit—without fear of the police cutting the night short, this simple spot does the trick. Long-running and hard-thumping parties like Making Shapes, Culprit and Droid are showcased in its Prototype Series, as Detroit house and techno DJs and boundary-pushing acts from Germany merge with LA’s finest. An ample outdoor patio provides plenty of breathing room, a second bar and a taco stand. 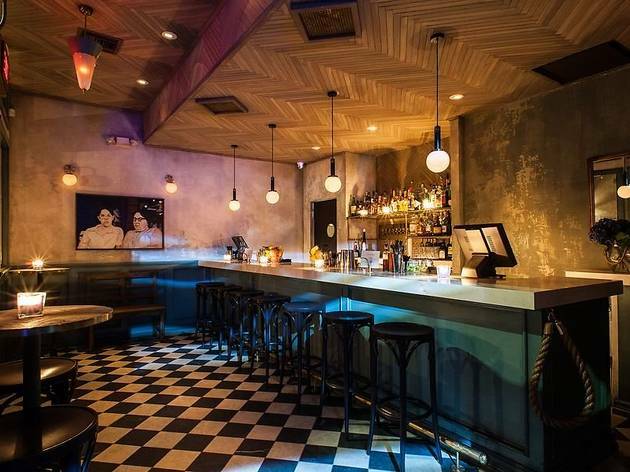 Officially, Akbar is a gay bar, but this kitschy lounge-meets-dance spot boasts an easy, come-as-you-are vibe that makes for delightfully weird crowds and solid nights for dancing. 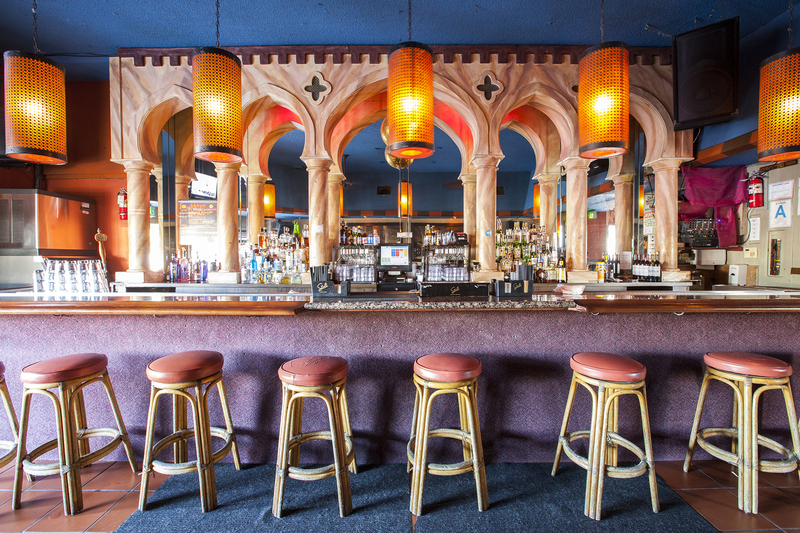 Past the main bar, an eclectic jukebox and a wall of autographed headshots is a second room where DJs play everything from alt ’80s to disco and electro tracks. In the summer, the monthly disco party Bears in Space turns the venue’s gated parking lot into day-drinking HQ. 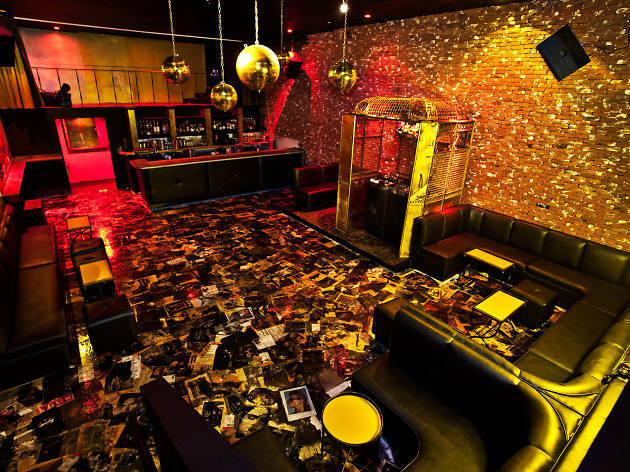 Golden Box was built for those who want to bypass the mainstays of many Hollywood clubs, such as dress codes, bottle service, long lines, a meat market feel and cover charges. Instead, a down-to-earth vibe rules. DJs at rotating parties (our favorite? 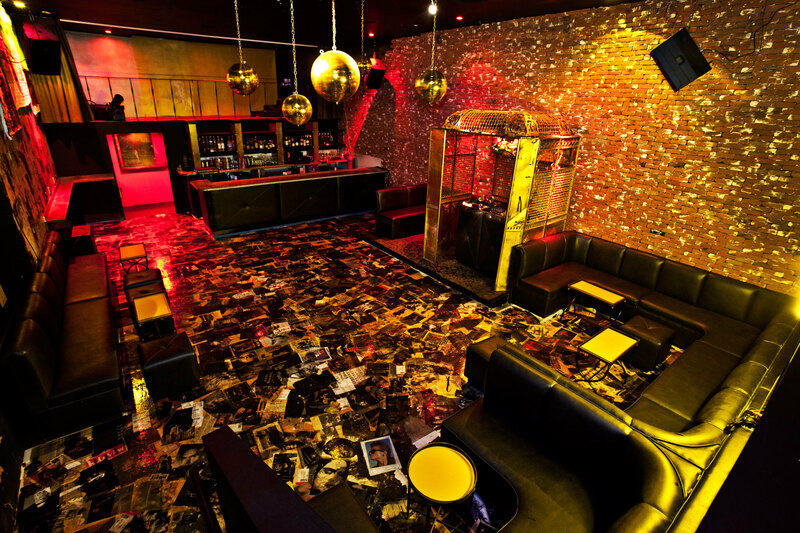 Tropixx, featuring Dim Mak talent) play in a floor-level cage rather than an elevated booth away from the crowd. Decor is kept simple (Interview covers plaster the floors) and extras, like social media-ready photo booths, are eschewed for random pizza kickdowns. 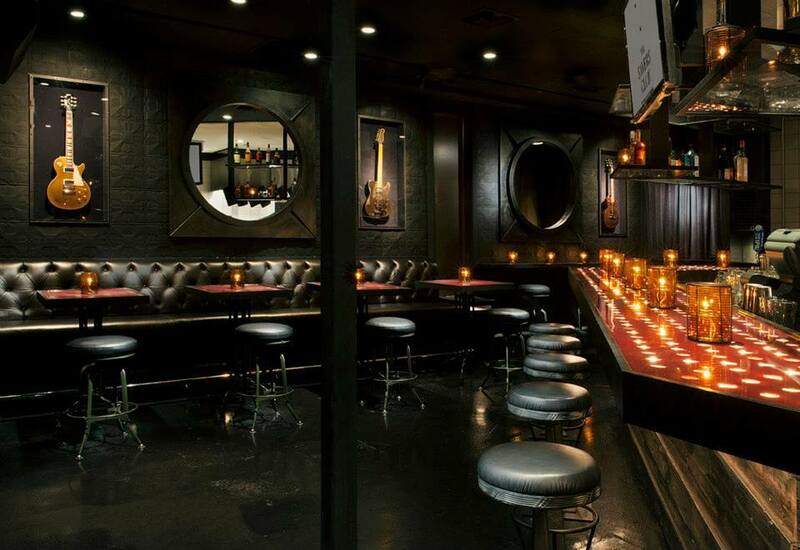 This beautifully-appointed bar, intimate music venue and outdoor event space has nightlife denizens glowing. 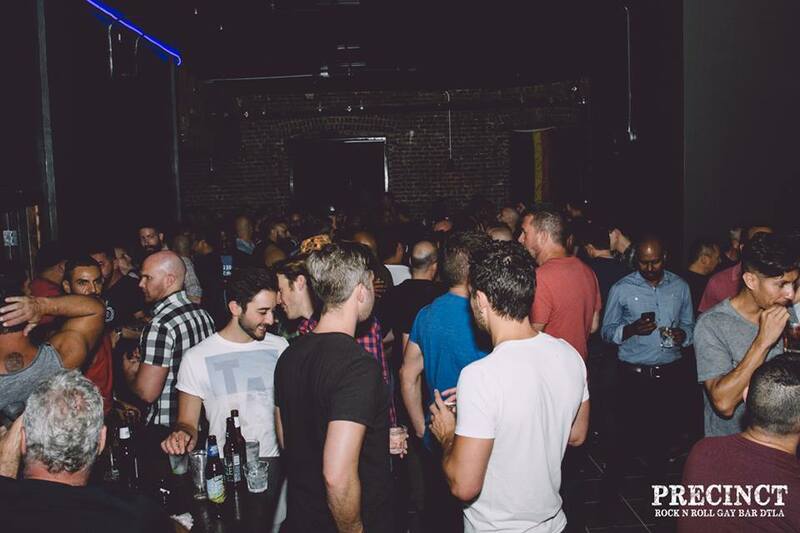 “Makes you feel like you’re at the best house party of all time,” DJ Whitney Fierce notes. Heavy on flora and equipped with a white wraparound bar, the space is designed to transport partiers to an otherworldly place, with programming that spans dance music, creative eats, art and film.